In times when money may be short, it is all to easy to contemplate cutting back on your home insurance, but this is a false economy - it only takes one major claim to cost you tens or hundreds of thousands. It's also unnecessary for many people, as huge savings are possible by shopping around, particularly by calling a specialist broker. You may think that your home is nothing special, but in fact many houses have quirks and features which can put up your premium significantly, if you deal with a mainstream provider. By dealing with a specialist home insurance expert, like Adrian Flux, you can save considerably, as our knowledge and experience of the unusual means we are able to offer truly personal premiums. Due to the types of Home we insure, our policies are designed especially for the out of the ordinary and our staff have a high degree of knowledge in this field. This is not an on-line quotation system using computer rates. Instead each risk will be individually calculated by our expert staff.. Please note that our sales staff are insurance experts not just 'computer monkeys' and along with our tailor made household insurance online schemes we believe we offer the best quotation service around. Park Homes - as sited houses and chalets soar in popularity, owners can benefit from cover designed for the unique needs of these properties. Landlords insurance – Extra special deals for private landlords including portfolio cover for any number of flats and houses and flexible enough to cope with rapidly changing property portfolios. Buy to Let insurance, DSS lets, Blocks of Flats, Student lets, Bedsits, Asylum lets, Landlords Contents. 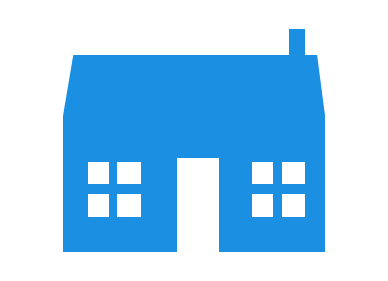 Second Home and Holiday Home Insurance - everything from a chalet to a large second house in the country. Insurance for blocks of flats and maisonettes. These properties can often cause problems for insurers, but not for us. High Net Worth Policies covering period properties, high-value dwellings and contents cover, and cover for antiques and valuables..
Subsidence and Underpinned Homes quoted. Flood areas all quoted - our rates are realistic and fair. Thatched Insurance – Extra Special Deals. All types and styles of thatch covered. History of previous household claims is not a problem. We provide tailor made solutions to all your exact needs, so our range of home insurance policies is wide enough to cover every situation. Quick & Cheap Home Insurance cover rates by phone, please call 0800 369 8586 during office hours 9am to 7pm Monday to Friday & 9am to 4pm Saturday for an immediate quote.